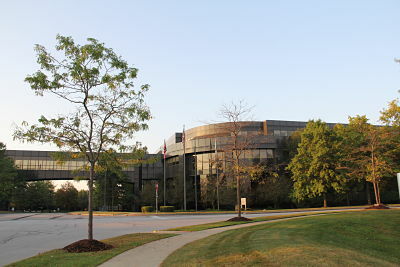 This office campus site was developed and constructed over a 12-year period from 1991-2003, creating a regional headquarters for the former MBNA Bank of America. 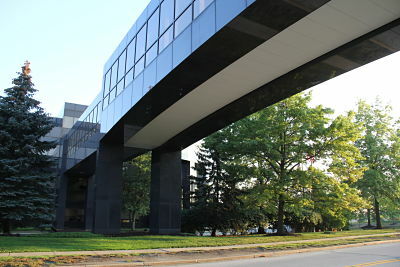 Working with a consistent design team and construction manager, our office was responsible for the MEP design of four multi-level, modern office buildings with connecting bridges, two-level indoor parking garages and a daycare facility. HVAC system design included a central water-source heat pump loop system with closed-loop fluid coolers and indoor spray-water storage tanks incorporated into the architecture of the each building. Building ventilation air systems were designed for each building to provide 100% outside air and actively control humidity levels. 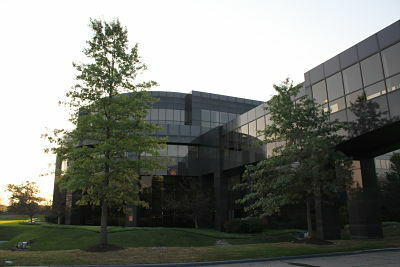 Indoor air quality is monitored through building energy management systems to provide a productive work environment. Each ventilation system was designed with heat recovery to maximize energy conservation. Heated indoor parking structures with automatic vehicle fume exhaust and intake air systems. Building heating systems were provided with emergency back-up from garage heating systems by interconnection for use in the event of heating system failures. Snowmelting systems for building entry walkways and child care playground areas. A 100-ton geothermal ground-source heat pump system was designed for the campus daycare facility with dedicated heat pumps for daycare rooms and classrooms. Power quality features including lightening protection, harmonics mitigation, UPS for main and intermediate technology equipment rooms with UPS distribution to workstations in large portions of the open office areas. Full power backup to all systems provided by diesel engine generators serving paralleling switchgear to provide redundancy with automatic control and monitoring. Each building included underground fuel storage for maximum backup duration. 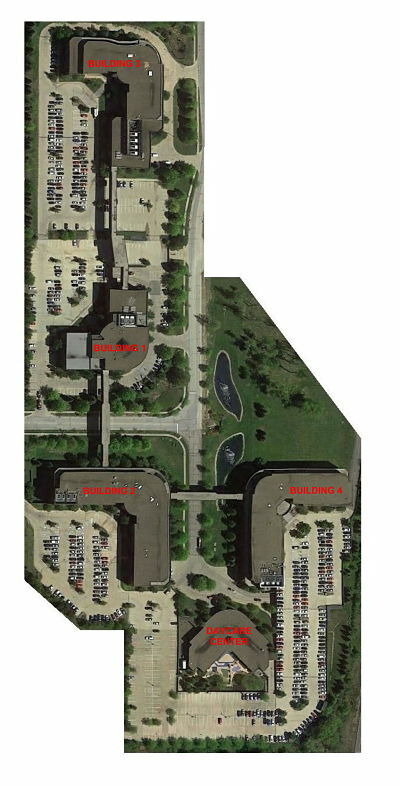 Fire protection systems designed throughout each building with drypipe systems in parking garages and chemical fire suppression systems for technology equipment rooms. All buildings were designed and constructed in a “fast-track” manner, requiring effective communication between owner, architect, construction manager and our office. Four main buildings totaling over 800,000 square feet, with a 36,000 square foot daycare facility.